Qualaroo is a software that allows companies to create and publish a web-based survey to collect market insights. It also offers analytics and reporting services for a better understanding of the feedback gathered. We compiled Qualaroo user reviews from around the web and determined that it has generally positive ratings. We also shared its available pricing options. Users who gave Qualaroo a positive review said that they are happy that the surveys are easy to set up and that the responses can be quickly exported to Excel. Many also mentioned that the customer support staff are highly responsive and friendly. Users who gave Qualaroo a negative review said that the survey formats and the reporting of results are limited. They also mentioned that the site often experiences downtime and that the pages take a long time to load. One user who gave Qualaroo a positive review on GetApp said that it was easy for her to set up a survey to share with her customers online. She also cited that connecting with Qualaroo’s customer support staff was a positive experience because they were friendly and gave useful information. One user who left a review of Qualaroo on G2 Crowd reported that it was difficult for him to group the results according to specific criteria and that he had to do a lot of scrolling to do so. He also mentioned that the site’s functionality needs work because pages often hang while loading. Qualaroo mentions only one subscription plan, Basic, with pricing starting at $99/month. However, on Qualaroo’s FAQ, they make mention of subscription plans such as Startup, Growth, Turbo Growth, and Enterprise, though without published pricing. The main differences between the plans are the types of user, as well as the amount of customization and support available. Check out the list below of some of Qualaroo’s features. Does Qualaroo offer a free trial? Yes. Users can sign up for a 14-day free trial. Yes. 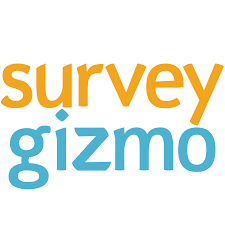 Mobile surveys are available for Startup, Growth, Turbo Growth, and Enterprise subscriptions as an additional service. They are also available during the trial period. The mobile add-on features the same capabilities as the desktop version, except that the former does not include exit surveys. I have trouble starting a survey. Does Qualaroo have templates I can use? Yes. 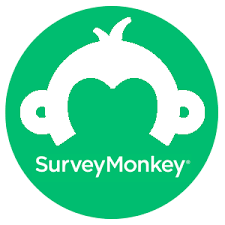 The platform has over 40 different survey templates to choose from, and users can customize these using the survey editor to fit their needs. Alternatively, users can opt to create their own questionnaires from scratch. This video provides an overall background on what Qualaroo can do to help obtain meaningful feedback that help them make better business decisions. Not sure if Qualaroo is the right fit for you? Read our reviews of all top survey software providers or check out one of these three Qualaroo competitors.